This home, despite its magnificent modern architecture, geometric design and altogether futuristic style, is rooted in the twentieth century. 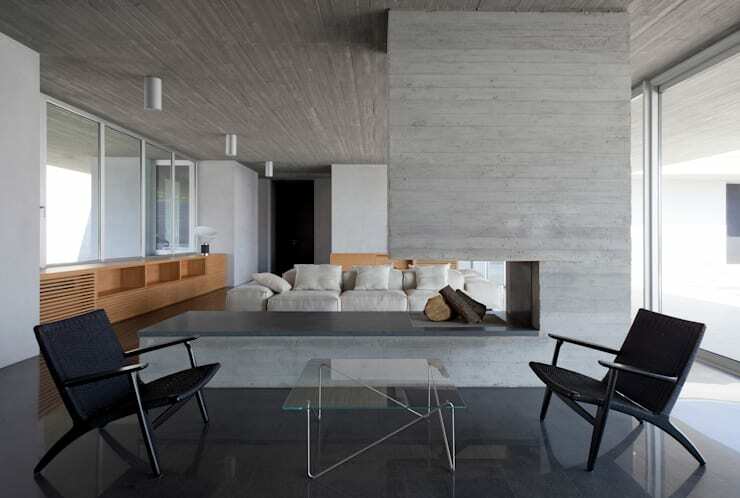 In Italy today there are not only beautiful rustic farmhouses or Renaissance buildings but also homes that are inspired by modernism, projected into the contemporary world. Modern homes often praise the perfection of style, sometimes even at the expense of functionality. This project, however, manages to meet a particular aesthetic taste with a stunning and practical results. 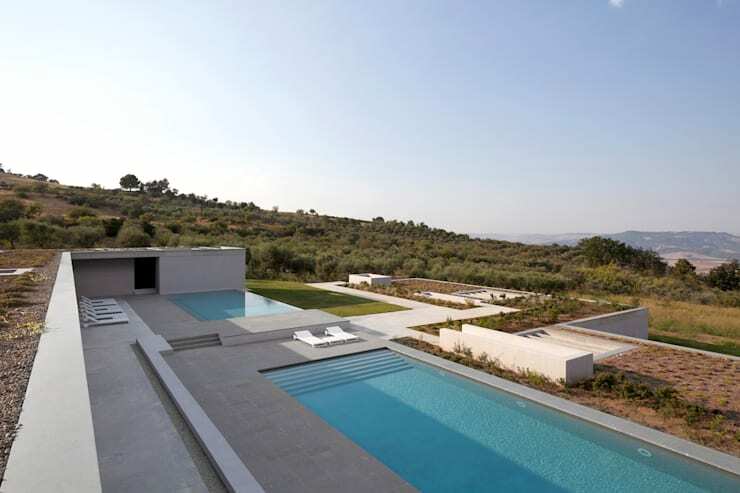 All this is thanks to the exceptional work of the expert team at OSA Architecture & Landscape. 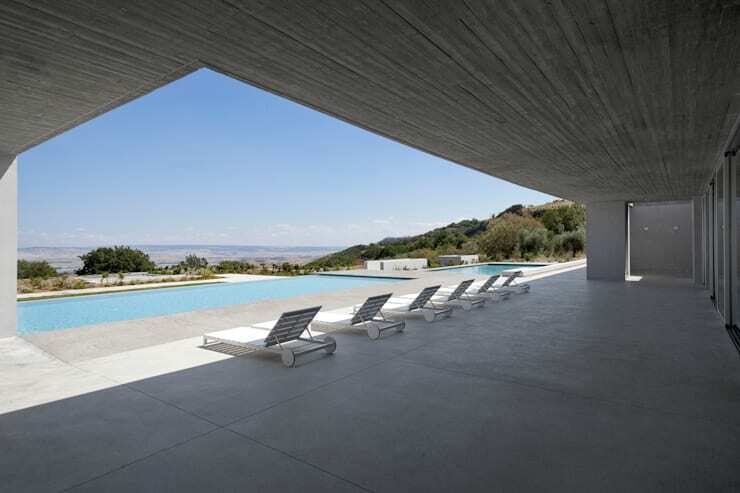 This home is located on the north-east of the hill, separating the Rivers Bradano and Basento in Basilicata. The context of its location is important for the realisation of the project. In fact, it was decided here that it would accommodate the natural slope of the land, without devising a structure above the ground that could dramatically alter the rural landscape. 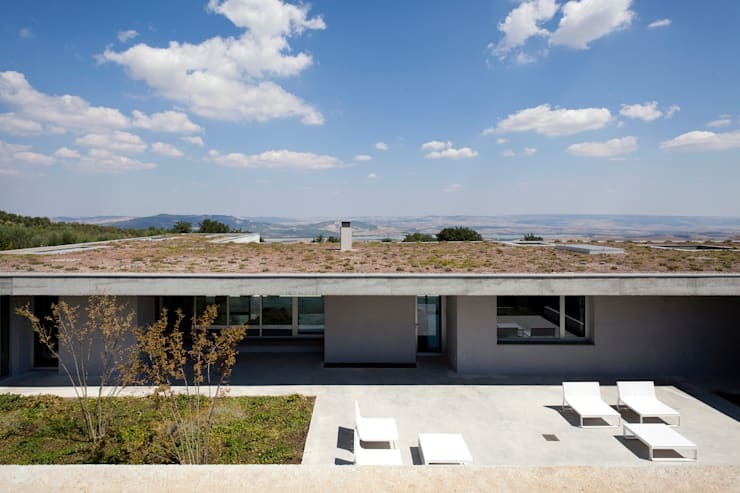 The vegetation that covers the roof blends in with the surrounding land, completely camouflaging the house. On the other side, every room in the house can enjoy a panoramic view of the lake as well as the valley and even the swimming pool at your doorstep. 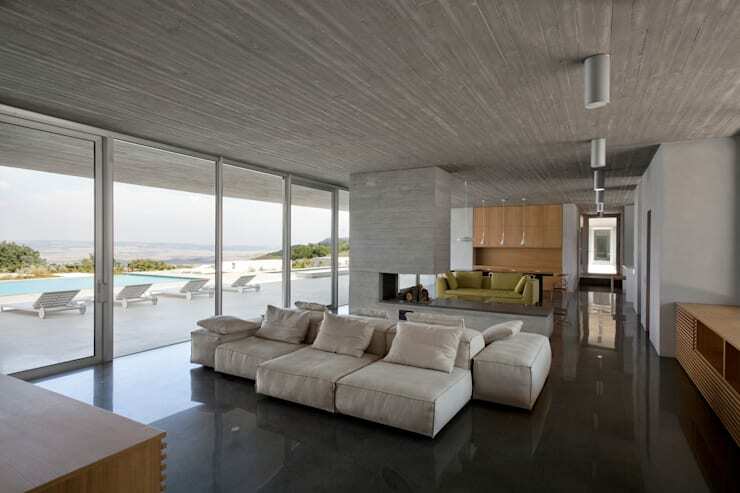 This concrete cover has become an important architectural element of the basement because it defines the volume and space. The neutral colours and opaque surfaces provides us with a homogeneous environment, cancelling its influence by focusing the attention on the surrounding landscape more than the architecture itself. The interior of this home is amazing: here we can admire the great 630 square metres of total area and the sustainability, which was a priority for the construction. The correct exposure of the spaces, the control of ventilation and sunshine, as well as the rainwater collection, solar panels and finally the greenery perfect for maintaining the internal microclimate, making this home environmentally friendly. 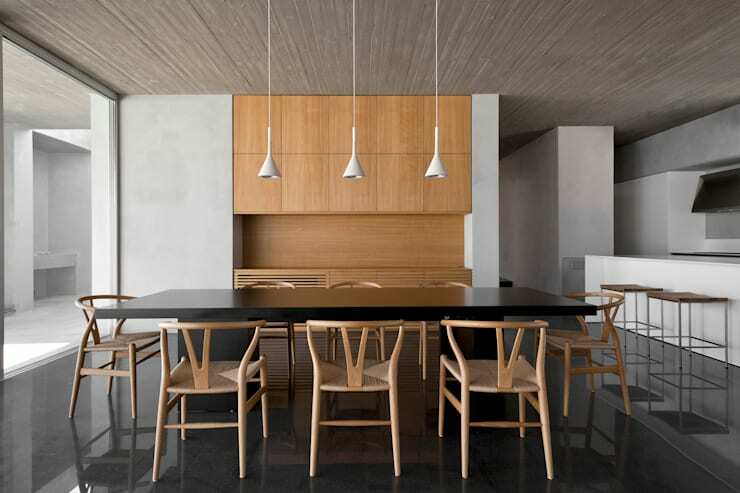 The interior style is clear: the minimalist furnishings and fixtures as well as neutral colours are evident of the modern decorative elements and design, while the raw materials show off what they are, without further additions. If you liked the style of living room, there is certainly more where that came from! This more than modern kitchen is perfect, with its neutral tone, minimalist culture and even pleasant style, it is out of the ordinary, but maintains a sense of modernity and beauty as well as charm. This kitchen is a great addition to a home for a family of two or even eight! It makes for a comfortable place to enjoy family time and cooking a delicious meal together. To explore another stunning camouflaged home, don't miss: An Enchanting Home Hidden in the Jungle. Stunning! If you like modern design you must have enjoyed this home? What did you think?